There's no need to let bland invitations diminish expectations for your event. 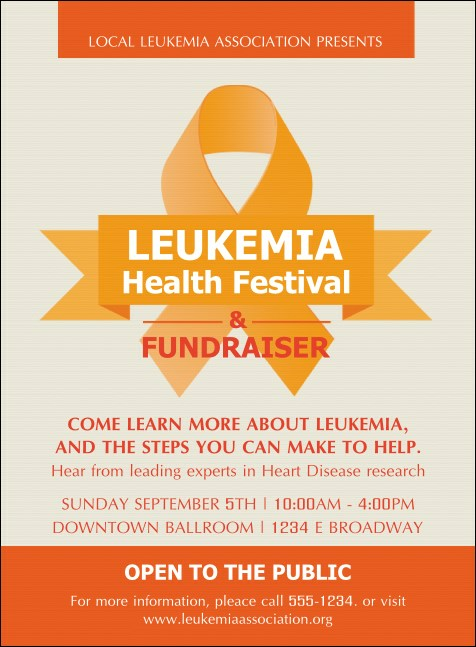 Use the Leukemia Invitation and get them excited for any fundraiser, party or conference! Easily use thirteen lines in bold white and orange to relate all details to potential guests. Send an invitation they'll remember when you shop TicketPrinting.com!